Saturday will mark the 100th day of Donald Trump’s presidency. In just 100 days, Trump has passed or proposed several bills that will cut back on environmental regulations. Trump has called global warming a hoax and has vowed to abolish the EPA, so what does this all mean for the environment and West Virginia? Many of Trumps policies were aimed to repeal the previous policies set up by his predecessor, Barack Obama. President Obama set up policies to regulate coal-mining, fracking, and greenhouse gas emissions. Trump is making it his ultimate goal to repeal these polices. He started by selecting global warming denier, Scott Pruitt. Since then, the Trump administration has removed any mention of climate change from the White House website, approved controversial pipelines and repealed a law prohibiting coal companies from dumping mining waste in rivers and streams. However, at the end of the day this all ties in to West Virginia. Donald Trump won the state of West Virginia by gaining almost 68 percent of votes on Election Day. Trump won West Virginia because he promised two things, coal revival and highway jobs. Coal Country has lost over tens of thousand of jobs over the last few years, and this region believed Trumps rhetoric. He promised to put these people back to work by bringing back the coal industry. In order for these promises to become a reality, Trump will have to cut back on environmental regulations that could have a serious effect on the environment. When Trump signed his executive order to roll the Clean Water rule, it fulfilled a promise he made to coal country at the cost of the environment. According to an article from Inside Climate, the roll back on the Clean Water rule will leave up to 170 species of fish with the possibility of becoming endangered. The irony of this whole revival on coal puts West Virginia in a tough spot. Trump can say whatever he wants, but facts are facts, even if he believes other wise. The the U.S. Energy Information Administration recently released a report stating that coal was used to produce less than 30 percent of the United States’ energy. Coal is facing competition from natural gas and renewable energy, and unfortunately for West Virginia coal may never return to the height it once was. The truth is, in order for coal to make a comeback in these regions, regulations set by the Obama administration will have to be rolled back. In that case, these roll backs would put an effect on the environment in one way or another. On April 22 Marchers took to the streets of Washington, D.C. in support of science. The march was broadcast over a multitude of social media sites and the news. In the spirit of Earth Day, many signs raised up in protest for creating awareness of climate change. The March for Science in D.C. was led by Bill Nye (the science guy). It was estimated to have 40,000 protesters. The main reason for the march was to protest against budget cuts being made to the Environmental Protection Agency, National Institutes of Health, and NASA’s Earth research programs under President Trump’s 2018 budget proposal. Morgantown was one of two locations in West Virginia, the other being Huntington, that hosted a science march in accordance with the D.C. march. Roughly 500 people attended the march in Morgantown, and protesters gathered in Woodburn circle. Science departments, professors and students partook in the event, and Fourteen of twenty organizations in the Morgantown March were affiliated with WVU. The march for science was meant to show that scientists are not elitists and to help raise awareness for the possible budget cuts being made in 2018. The President of DownstreamStrat, Evan Hansen, spoke during the event about water quality and keeping it safe for the community. In an article written by the D.A., it is mentioned that local scientists are the only reason trout supply has returned to Deckers Creek. This was made possible through the development of a new filtration device that helped filter pollutants from the water that were introduced by acid mine drainage in the creek. Engineering and agricultural departments also participated in the march. These are two fields of study that many forget to include when thinking of science, but engineering at WVU is one of the largest departments, if not the largest, and many students studying engineering are going to be entering the work field, this goes for many majors at the university (medical comes to mind), with budget cuts hindering their scientific advancements. This march wasn’t for scientists that want more money. It was for science lovers that want to see a future worth living in—a world that isn’t suffering from climate change or lack of progress. Shannon Stanley: This marks the end of my group blogging days, but I will still be around on Twitter. In your free time you can also check out my other blog about Video Games. Thanks for reading! Celebrate WVU this Earth Day! Saturday April 22 is Earth Day! Many know West Virginia University for our Mountaineer Pride. The football team does pretty well (usually) and the basketball team goes pretty far in March Madness. Many do not realize the academic successes here at WVU. With a relatively high acceptance rate, the school can be overlooked when it comes to academics. Most of the time when WVU makes national headlines, it’s for partying gone wrong. 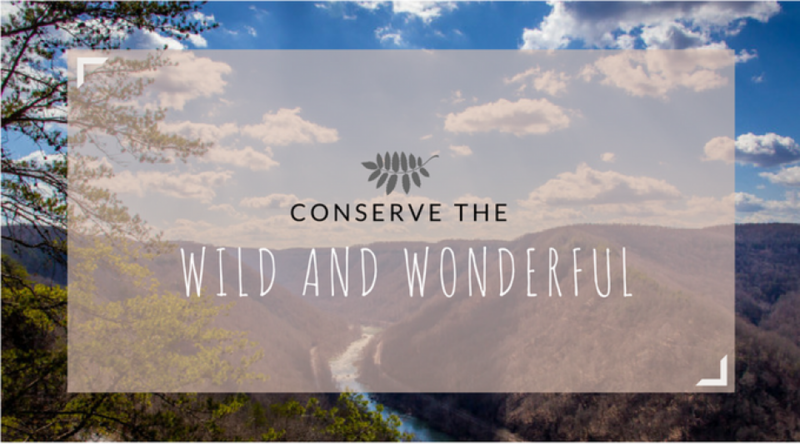 So in honor of Earth Day, let’s take a look back at what WVU has accomplished in efforts to conserve the wild and wonderful state, as well as the nation as a whole. One of the largest headlines WVU made recently has been their results of the study conducted by WVU’s Center for Alternative Fuels, Engines and Emissions, or CAFEE. They found that nitrogen oxide emissions, one of the top 6 common air pollutants, from Volkswagen diesel engines exceeded the EPA’s standard. One vehicle exceeded the standard by a factor of 15 to 35 and the other by a factor of 5 to 20. Major media outlets were contacting WVU and it was out of the ordinary for the school to make major national headlines. News outlets including Motor Trend, Roadshow by CNET and Time magazine were all reporting on this story. Headlines and stories like this proves that WVU is a leader among advancement in new conservation technologies. However, the school still struggles to have the reputation that some other big name schools have for their research. The New York Times even wrote an article about how the researchers behind the Volkswagen emissions testing have received little reward for their findings. Still, WVU pushes forward to gain the recognition they deserve. Dan Carder, director of the university’s Center for Alternative Fuels Engines and Emissions, was named one of Time magazine’s most influential people in 2016. WVU is even honored to host the kickoff at the nations largest clean vehicle awareness event in Texas. You can learn more about the event here. On campus, the WVU Sierra Student Coalition is hosting an Earth Day Celebration on the downtown campus. There will be environmental speakers, music, activities, and food. So this Earth Day we should celebrate and support the accomplishments the university has made in conserving the environment. Today is 4/20 and what better way to honor this national holiday for the cannabis world than to discuss marijuana. For West Virginia, they are on track to become the latest state to legalize forms of cannabis for medial use as Governor Jim Justice has signed Senate Bill 386 into law on Wednesday. Senate Bill 386 — the West Virginia Medical Cannabis Act — would create a state cannabis commission that would be responsible for developing policies and regulations to make medical cannabis available to qualifying patients. On Thursday, April 6th, lawmakers in West Virginia voted 28-6 in favor of passing Senate Bill 386 – the West Virginia Medical Cannabis Act. The bill was then sent to Governor Jim Justice to be officially passed as a law, and on Wednesday Justice signed the bill into law. What does this bill mean for West Virginia? The passing of Senate Bill 386 does not mean that state residents can just walk around and smoke a joint. The bill is for medical purposes only. According to WV MetroNews, registered physicians would be allowed to prescribe marijuana for patients suffering from a list of conditions, including chronic diseases, muscle spasms and seizures. The bill doesn’t even allow for smoking. The newly passed bill allows for consumption through pills, oils, topical treatments and mists. The bill does not allow for growing of marijuana, regardless of being certified. The legalization of medical marijuana can become a factor for a state struggling from a serious opioid epidemic. According to US News, 818 people died in West Virginia due to drug overdose in 2016, up 13 percent from 2015. A new report out from Drug and Alcohol Dependance found that medical marijuana policies lead to a 23% percent drop from opioid related hospitalizations. New Mexico is another state trying to actively find ways for medical marijuana to be used a way to cut back on opioid addiction. In addition to providing relief to the opioid epidemic, the bill also establishes a marijuana commission. This commission will have a fund appropriated by the legislature, and ten percent of funds will be directed towards education programs on marijuana as well as drug recovery programs. West Virginia residents are expressing their satisfaction with the passing of this bill. Residents clearly feel there was a need for this legislation to be signed into law. There is still some time before this law becomes effective in July of 2018. There is time for the state to look at this bill and determine all the benefits that could come from this. Clearly the state feels that there is beneficial potential with medical marijuana and we can only hope that this bill can help the epidemic in this state. The State of West Virginia has over 15,000 illegal dump sites and spends more than $1 million every year to remove litter from state highways. According to the EPA, nationwide the cost of clean up is $115 million, but those are all dry ground sites. Perhaps tougher to clean up, are sites where people dump their trash into streams and rivers. The New River Gorge is one state water site that is combating hundreds of illegal dumps and roadside trash sites that create both aesthetic and health and safety problems. Any person who disposes of items weighing, but not exceeding, more than 100 lbs or 27 cubic feet in size is guilty of a misdemeanor. Upon conviction, he or she is subject to a fine of not less than $100 nor more than $1,000, or in the discretion of the court, sentenced to perform community service by cleaning up litter from any public highway, road, street, alley or any other public park or public property, or waters of the state, as designated by the court, for not less than eight nor more than sixteen hours, or both. Any person who disposes of items weighing more than 100 lbs or 27 cubic feet in size, but less than five hundred pounds is guilty of a misdemeanor. Upon conviction he or she is subject to a fine of not less than $1,000 nor more than $2,000, or in the discretion of the court, may be sentenced to perform community service by cleaning up litter from any public highway, road, street, alley or any other public park or public property, or waters of the state, as designated by the court, for not less than sixteen nor more than thirty-two hours, or both. Any person who disposes of items weighing more than 500 lbs or 216 cubic feet in size is guilty of a misdemeanor. Upon conviction, the person is subject to a fine not less than $2,500 or not more than $25,000 or confinement in jail for not more than one year or both. Fines. Courts impose fines to penalize defendants. These fines vary greatly, depending on the circumstances. For misdemeanors, the fine may be as little as for a traffic ticket, but for felonies, fines can be thousands of dollars. Some fines can accrue daily until the illegally dumped waste is cleaned up. The difference is determined by type and volume of waste. Disposing of typical waste and garbage, such as empty beverage bottles is littering. Dumping a large amount of waste, such as bags full of garbage or an appliance, would be illegal dumping. The type of waste is also important. Disposing of a toxic chemical or hazardous items such as a car battery may count as dumping. The size of these hazardous materials may be relatively small, but since they pose an immediate threat to the environment, size is not as relevant. Illegal dump sites are often remote areas found at the most outer parts of residential areas. The sites are where people dump their garbage without paying someone else to take care of it. In every city there are municipalities set up to take in the communities garbage. Monongalia County Solid Waste Authority is responsible for retrieving and transferring waste. The Solid Waste Authority is owned by Republic Services. Signing up for services can be done on their website. However, you must sign up before receiving a quota for your trash pickup costs. This can turn a lot of potential customers away. The price is not plainly stated. Most people don’t want to deal with the hassle of taking their trash to a dump or transfer station and companies like Republic Services don’t provide the cost up front. Therefore, due to the reasons below, people decide to illegally dump. Lack of judicial understanding of environmental laws, and therefore, low fines. People can also rent a dumpster from Republic Services to help with discarding larger garbage that they cannot take themselves. Often people have materials in their homes that they don’t know how to properly dispose of. These common household items end up sitting in our garages or basements where they can be out of sight and out of mind, but below are proper ways to dispose of 5 common household items. 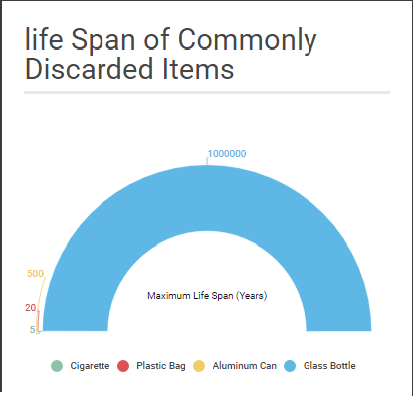 There are many items that people possess, but sometimes they aren’t familiar with how to properly dispose of them. Live Science gives some suggestions on how to recycle hazardous materials. Motor Oil- To dispose of motor oil, place in a clear, sealed container and take it to a car service station or automotive store. Electronics- The EPA offers help with disposing of electronics. Many places, such as Best Buy, will take old electronics and recycle them for you. Paint- 1-800-cleanup can be contacted for oil based paints. If paint is latex based then it must be dried out. For less than one inch of remaining paint it can be air dried. For larger amounts you can use cat litter by mixing it into the paint. Once the paint is dry it can be disposed of in the regular trash. Batteries- Call 1-800-batteries for information on disposal. Sometimes stores, like Walmart, take old car batteries and recycle them for you. Light-bulbs-Websites such as Earth911 can help find recycling locations near you. Stores such as Home Depot will also take fluorescent light bulbs and recycle them. Residents of the state of West Virginia can help to alleviate the problem of illegal dumping in the state by practicing prevention and helping to clean up already existing sites. Apart from residential help, the state increased fines for illegal dumping in 2010. According to the Charleston Gazette, cities and counties work with the DEP to step up enforcement in problem areas. Motion cameras are installed to catch violators in the act, but more can be done if West Virginians become more aware of the issue. After a full week of posts, our blog has explored the issues surrounding Blue Hole. Cayla showed the differences in perspectives of students and Morgantown locals. Ashley talked about the impact party goers have on Blue Hole. Shannon looked at past injuries at Blue Hole and how thrill seekers can get out of control. Steven talked about how drinking at Blue Hole can be dangerous. We discussed the issues of Blue Hole, but lets end this week on a positive note! The groups that trash Blue Hole only represent a small minority of students that carelessly litter. Different student organizations make trips to the area to do clean ups. Students don’t just go to Blue Hole to drink. They appreciate the swimming hole and the hiking trails around it. Morgantown is a great place for a diversity of different options to spend your free time. However, many of these options are indoors. Blue Hole is a different option that gets people outside and gives them a sense of adventure. It’s a great place to celebrate the end of the school year and enjoy Spring. Everyone can come and spend their remaining weekends at West Virginia University together. It is important to be aware of the issues involving Blue Hole. Yes, people mistreat it, but if a few of us lead by example, maybe more will follow. This is a unique place that should be enjoyed by everyone. Over the last few days on this blog we have been talking about Blue Hole. Blue Hole is a beautiful and fun place to be on a nice warm day, but with that comes some problems. We have talked about the perspective from locals, the litter and also the dangers associated with the popular swimming hole. So when you tie this all together there is a common denominator, and that is alcohol. WVU students love Blue Hole. WVU students also love to drink. Tie in some nice weather and this popular place becomes the go-to spot for students to party once the weather gets nice. By searching Blue Hole on nearly any social media site, results yield photos of students hanging out drinking near the water. It is no secret that there is a drinking culture at WVU. Seemingly each day that the weather is nice in the spring, students are out day-drinking. If you add up a wild day of drinking, usually something wild happens at this university. Riots, fights, pepper spray, or in some extreme cases students end up in the hospital. Now imagine all of this stuff happening at a swimming hole, miles off the beaten path. With the addition of alcohol, Blue Hole becomes a place where this can happen. Located across the stream is a large rock that students enjoy jumping off of. There is even a rope tied to the bottom of the bridge for students to swing off of into the water. The problem here is getting across the stream. The current at Blue Hole can be very strong at times, and not all students are strong enough swimmers to get across the stream, especially if they are drunk. According to this DA article, a 19 year old student died a few years back after getting caught by the current at Blue Hole. The biggest danger to students is Jenkinsburg Bridge, which Shannon touched on yesterday in her post. Many students wouldn’t dare to jump of the bridge, but add in a day of drinking and that may change some peoples minds. Two WVU students who jumped off the Jenkinsburg Bridge were nice enough to give me some details about their jump, but they would like to remain anonymous. Would either of these students do it again? They are unsure, but having a buzz definitely played a role in their decision to take the leap. Students have been jumping off this bridge for a long time, and most likely will continue to jump. There are several videos on Youtube of students making successful jumps. However, there are times when the jumps are not so successful and students get really hurt and might require assistance getting out of the water, and if no one is sober to jump in and help it could be a serious problem. This post isn’t meant to bash drinking at Blue Hole, or people who jump off the bridge. There is no problem with enjoying a few drinks at this beautiful spot. However, as we all know to well at this school, combine alcohol and a large group of people and something is almost certain to go wrong. So, if you are out at Blue Hole in the coming weeks, just remember to be safe and respect the land. This week is all about Blue Hole and one of the biggest issues when it comes to this tranquil retreat is the amount of injuries that occur. At Blue Hole the Jenkinsburg bridge looms over the blue water. For some the bridge adds to the scenic beauty, but for others it adds temptation. It is unclear about the exact height of the bridge. I have read multiple news sources that all give varying heights. The Charleston Gazette says that it is 63-feet high. The Daily Athenaeum says it’s 75-feet, but one thing is certain, any fall/jump from the bridge could result in major injury. Blue Hole is a popular place to hang out for students and locals during the summer, but when you mix alcohol and heights, which many do, things are bound to go wrong. The need to jump may seem odd, but when you watch the video below, it becomes clear that coercion can be the main driving factor. This video was published in 2013. The young man jumping from the bridge is peer pressured for most of the video to jump, but when he finally does, the landing isn’t so smooth. The comment feed below reveals that the man needed rescued and suffered a concussion. On this video, there was a more recent comment where someone complained about fracturing his vertebrae as a result of jumping from the Jenkinsburg bridge. People still continue to jump even though many accidents have been reported at Blue Hole. In 2008 a young man was reported dead after drowning in the waters at Blue Hole. He was caught in a current and unable to escape, and a 19-year-old girl was also injured when jumping from the bridge the same year. Andrew Coleman, a former forestry and wildlife management student at West Virginia University, has been to Blue Hole roughly eight to ten times and talks about his own experiences. These injuries can be life changing, but what makes it worse is that help may be delayed when trying to come to the rescue. It’s not only the bridge that is dangerous, but also the roads to reach Blue Hole. “There are two ways to get there. One way is dangerous. There is a quad trail that gets washed out a lot. It’s really scary to go down,” says Coleman. This can be a problem for those visiting Blue Hole for the first time that are unaware of the two entrances, which could cause more accidents, but the ones who need the road the most, first-responders, are experiencing difficulties. The Preston County Journal even wrote an article about how the road conditions affect accessibility for firefighters. This article was written in 2015, but it’s a problem that has always made it more difficult for medics, firefighters and police officers to reach the secluded area. Accidents at Blue Hole can become much worse when emergency vehicles experience difficulties reaching the location and if help is unable to reach the area, it could mean more serious injuries or fatalities, and If help is able to reach the area, according to Luzier it could mean being flung around in the back of a gator while suffering from serious wounds. Remember to be safe when enjoying the swimming hole because one jump from the bridge could effect you for the rest of your life. Student Dog Ownership Struggles in a Town Covered in Shattered Glass. Spring has sprung in Morgantown, West Virginia and dogs are out enjoying this weather just as much as us humans. In a college town, there is a strong presence of litter and shattered glass. This can cause unsafe conditions for walking dogs around campus. I spoke with Cheyenne Albright, a dog owner in Morgantown, about her experiences with these issues. I also spoke with WVU student Stephanie Midurski on her experience as a dog owner in Morgantown. Morgantown does offer green spaces away from campus that are great to take your dog. Feel free to add your own place to the map and share your favorite spots to take your dog! If a Morgantown Police Officer or a Litter Prevention Officer finds that you are improperly storing your garbage, trash, or recycling, you can be fined $50-$500 daily per occurrence. I have personally witnessed Litter Prevention Officers handing out warnings and citations on my street (I may have even received one myself). When you live in a high traffic area, it is almost impossible to keep up with litter. It’s important to remember that it’s not only humans that have to deal with litter around town. Litter and glass harming our dogs is a serious issue. However, there are some funny things found on the ground around Morgantown. There is even a Twitter that tweets some of the strangest things found. Be sure to check out out Cayla’s post on the responsibility of following leash laws in Morgantown. Also, if you want to get more involved with dogs and cats in the community, check out WVU PAWS (Pets Are Worth Saving) club on campus.